Together with his brother he would travel around Poland, connecting to the most distant of souls and raising sparks, awakening the Chasidic spirit latent within even the simplest Jews. Many famous stories about the two brothers occurred while they were journeying through the Polish countryside, passing through every little village and bringing its people to serve God. Although Reb Zusha never wrote his own books, after his passing on the 2nd of Shevat 5560 (January 22nd 1800) his son, Rav Tzvi Menachem Mendel published his fathers writings under the title “Menorat Zahav”. He is buried next to Rav Dov Ber, the Maggid of Mezeritch in Hannopil, Ukraine. 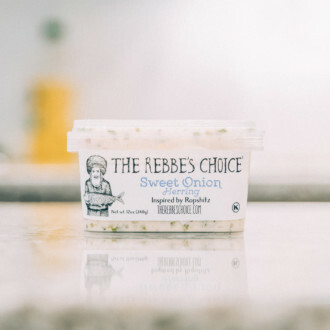 Reb Zusha’s seemingly simplistic demeanor complimented with his unique style is conveyed by this herring’s distinct, discernible flavors; a smokey, herb-y blend, with a flicker of something aromatic and sweet in its aftertaste. Since the beggining of creation, the world and all its inhabitants recieve a steady flow of blessing from Above. A person with a clear head undertands this, and does not become worried about any facet of his work and livelihood. He knows with certainty that the uninterrupted channel of blessing will continue to shower down to Earth and is bound to reach his “pockets”. But, if a person is lacking in faith and becomes worried about his money and job then the channels of blessing are blocked off. The only way God will reopen these channels is in response to dilligent Torah study and sincere prayer. All one really needs though is faith. This repetitive verse is explained by Rashi that it is teaching us all the years of Sarah’s life were equally good. But how could this be so when indeed Sarah lived a life of hardship; spending over 90 years without a child, or the famine that forced her and Avraham to move to Egypt. How can Rashi say that all her years were equally good? Perhaps Sarah, who was a righteous woman, accepted all the pain and suffering she endured with love and understanding. That she not once complained to others about her misfortunes. She lived her life under the principle of “A person is obligated to bless upon the bad just as he blesses upon the good.”(Berachos 9:5) Sarah knew with all her heart that nothing evil comes from God. Rashi was correct in saying the years of her life were equally good, for she looked at it as though all that happened to her was good. Reb Zusha of Annipol and his Holy Brother Rav Elimelech of Lizhensk wandered together across the polish countryside in the early 1700’s. They were on a mission to awaken the hearts and souls of others and bring them closer to their creator. So HaShem told Moshe to put these Luchos into the Aron, which will be in the Holiest place on earth and he goes ahead and smashes them. Seems like Moshe also failed, no longer could he place these now broken Luchos into the Aron. Yet, that’s not the case. The Gemara in Bava Basra (14b) tells us that the broken Luchos were indeed placed into the Aron. Why were these shattered, destroyed Luchos placed into the Holiest vessel, in the holiest room, in the holiest structure in the world? There’s obviously a lesson to be learned here. Maybe we can understand with a story. The two holy brothers Rav Elimelech of Lizhensk and Rav Zusha of Annipol were once traveling across Poland when they were in the wrong place at the wrong time and were accused of robbery. They were immediately thrown into jail without trial. Together in a cell they sat and Rav Elimelech became very sad, his brother took notice and asked him what was wrong, Rav Elimelech said “There is a pail that we would use to go to the bathroom in the cell. 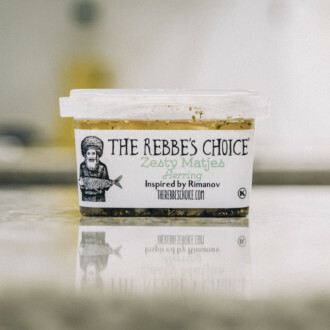 Therefore I cannot Pray Maariv…” Rav Zusha glanced over his shoulder at the bucket, saying, “My brother, my holy holy brother, we should rejoice in this. For the same God that told you to Daven Maariv is the same God that said you cannot Daven in the presence of a toilet – either way you go you are still fulfilling His will!” Rav Elimelech processed this incredible concept and quickly got up to sing and dance with his brother over the joy of fulfilling this obscure mitzvah. Their singing and dancing woke up some other inmates, who, oddly enough, were compelled to join into the brothers’ song and dance, and soon after, the entire prison was in song and dance until they woke up the warden. He barreled into the cell block, furious, “What’s all this commotion about? !” he growled. The inmates all pointed to the cell with Rav Elimelech and Rav Zusha, Rav Zusha pointed at Rav Elimelech and Rav Elimelech slowly pointed at the bucket. “That! You’re all singing and dancing over a bucket of …?! I’ll show you stupid Jews.” And the warden removed their “source of happiness”, the bucket which caused them to rejoice. And then, the brothers rejoiced even greater with their Maariv. Many times in life things don’t go as planned, I don’t think I even need to give examples because I’m sure you can come up with at least five of your own. Sometimes we can be doing so well, and then we suddenly fall, even to the lowest we have fell in a while. This smokey and sweet herring is prepared with zaatar, a blend of sun dried hyssop, salt, sesame seeds and dried sumac. Besides its culinary use Zaatar is also believed to have healing properties. 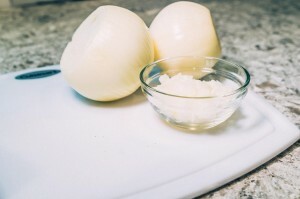 The strong herb flavor is balanced with the natural sweetness and intoxicating aroma of whole cloves. Each container is prepared individually by hand, ensuring a consistent quantity and quality throughout. Container Size: 12oz. – about 20 – 30 pieces of herring per container. Allergy Information: Contains Fish. Contains Sesame. Gluten free.